With Martin O’Malley finishing up his second and final term in office Maryland voters will now face the choice of choosing a new governor giving Republicans a chance of reclaiming the governor’s mansion they lost 8 years ago. But it won’t be easy in a state where registered Democrats outnumber Republicans by more than 2-1 statewide as well as a distinct fundraising disadvantage. Up until last week the Republicans had a choice among three good, but weak candidates, Harford County Executive David Craig, Del. Ron George and former congressional candidate Charles Lollar. While they are all good men, they all suffer from having a small base of support and aren’t very well known across the state among voters, including Republicans. 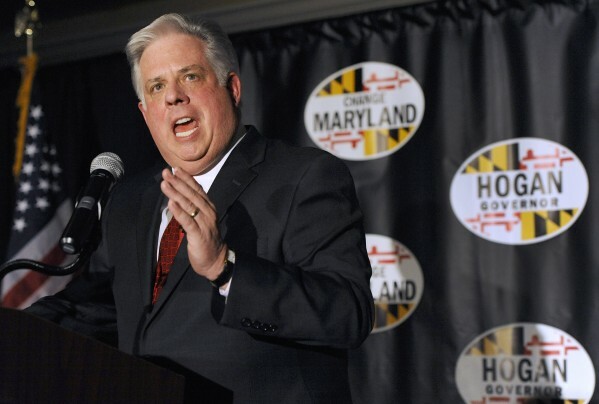 That changed last week with the much anticipated announcement that former Ehrlich administration cabinet secretary and longtime political activist Larry Hogan was entering the race. While Hogan’s late entry will make it even more of a challenge in the fundraising department, he comes into the race with a huge built in advantage over his opponents- a 75,000 plus email list that he has built over the last few years through his Change Maryland organization. As a matter of fact Hogan has been preparing for this run as soon as he started Change Maryland, by building name recognition and support and traveling throughout the state giving speeches and stumping for other candidates. The probability that Hogan would eventually enter the race has no doubt contributed to the poor fundraising to date by his now opponents as donors have largely held off contributing to Craig, George and Lollar in any significant fashion while waiting for Hogan to make an official announcement. The last financial disclosure reports show that Craig has $183,000 on hand, George $15,000 and Lollar $6,000. That pales in comparison to Democrats Lt Gov. Anthony Brown with $7 million and Attorney General Doug Gansler with $6.3 million on hand. With such a huge fundraising disadvantage, Hogan and the Republican Party should hope that Brown and Gansler have a knock-down-drag-out fight that will forces them to spend a large chunk of their funds and leave the primary winner, bloodied and bruised from the fight, giving Hogan an opening. This will be a long-shot bid as they usually are for the GOP. This isn’t like 2002 when former Rep. Bob Ehrlich became the first Republican governor since Spiro Agnew when he faced the one of the worst possible candidates the Democrats could run- Lt. Gov Kathleen Kennedy Townsend, who only added her maiden name when she thought it would help her chances. Ehrlich subsequently lost to O’Malley twice, with the 2010 campaign being an utter disaster. Lt. Gov. Brown isn’t a particularly strong candidate, and he has been stung by Gansler for the problems with the Maryland health exchange which O’Malley put him in charge of to help his campaign, but his connections and fundraising make him a formidable opponent. Gansler has been planning for this run for years, and will have to work very hard to beat Brown and will also be quite formidable should he win the primary. Rather than go through a cash-draining primary the other candidates should drop out before the primary and clear the path for Hogan. They need to be united and not divided if they really want a legitimate shot at winning and turning back the Democratic tide that has infected the state.